One of the best ways to control your car insurance premiums is to be aware of factors that can raise them, and do your best to avoid them. There are at least five significant factors that can raise your car insurance premiums. The impact on your rates will vary from one factor to another. Some will have a relatively minor impact, while others can cause your premiums to sky rocket. 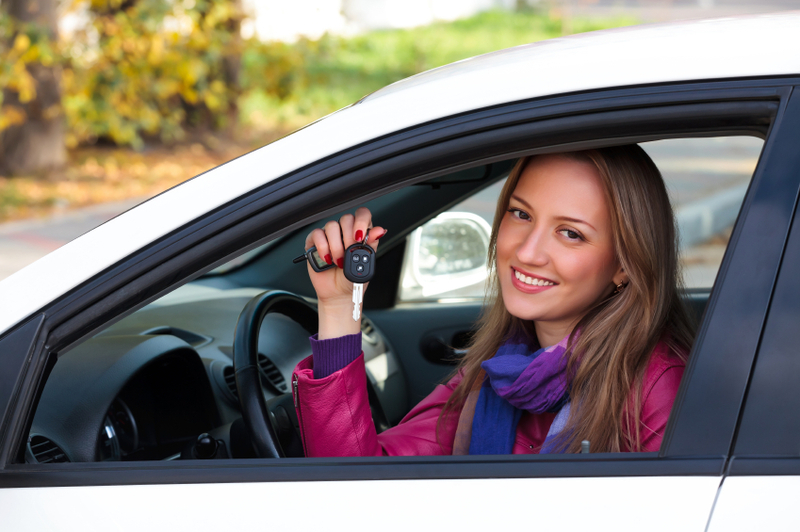 Here are five factors that can increase your auto insurance premium. If it’s one thing that insurance companies of all stripes cannot stand, it’s paying claims. Where auto insurance is concerned, this means accident claims, and the premium increases that can result from them can be steep. This will be especially true if you have two or three claims within a relatively short period of time. Generally, if you’re involved in an accident and it is the other driver’s fault, your insurance company will not hold this against you. However, if the accident is determined to be your fault, or is considered “no-fault” (fault not determined), the claim will be counted against you and your premium will increase. Traffic citations will also result in increasing your insurance premiums. But there is a wide variety of citations. Some insurance companies will not increase your premium if the violation is fairly minor – say, you’re ticketed driving 5 miles over the speed limit. But driving 30 miles over the posted speed limit is another matter entirely. At the upper end of the traffic citation effect is driving under the influence – better known as DUI. The premium increase for this can be so severe as to make auto insurance completely unaffordable. It can be the equivalent of denying your driving privileges entirely, if the police have not already done that. One advantage on traffic citations is that they’re effect on your premiums is limited. They will generally fall off your driving record after three years. If you buy a new or more expensive car than the one you’re currently driving, your premiums will increase. This only makes sense; the item you’re insuring has greater value, the cost to insure it will naturally be higher. This heavily affects the collision portion of your auto insurance premium, since that is the provision in your policy that will pay for damage to your car. The more expensive a car is, the more expensive it will be the repair the event of an accident. This is because replacement car parts increase in cost with the value of the vehicle. Replacement parts are also a factor with new cars. On a 10-year-old car, you would most likely replace damaged car parts with used parts. These are far less expensive than brand new parts. But if your car is only two or three years old, you’ll almost certainly replace damage parts with brand-new ones. This will also be likely because the supply of similar junked autos – where used car parts normally come from – are far less available for newer cars. The number of miles that you drive per month is a factor in how much you will pay for auto insurance, even if it doesn’t rise to the level of accidents and traffic citations. If you change jobs, and that increases than average number of miles you drive per month from say, 750 to 2,000, your auto insurance premiums will rise. The increased number of miles driven is considered a risk factor that insurance companies will adjust for because the more a car is on the road, the greater the risk of accidents will be. Auto insurance rates are not uniform across the country – or even within the individual states. On the state level, premiums can vary from one city to another, from one county to another, and from rural areas to urban areas. Premiums are always based on an insurance company’s risk experience, and that level can increase from one location to another. Rates can vary even more from one state to another, not just because of the of risk experience, but also because each state has a different legal environment in regard to auto insurance. One state may have certain laws or regulations that will mandate higher insurance costs in that state. In 2010, the US national average for auto insurance was $1,429 per year, but the states show wide differences. For example, Maine has the lowest premiums at $903 per year, while Louisiana tops the charts at $2,511. The next time you are considering an out-of-state move, you just might want to check on auto insurance rates before you go. The difference might make you change your mind about the move. If one of these factors has recently fallen off of your driving record it can be a smart financial move to get a new car insurance quote to see if you can get a lower rate.